Firstly, we would like to help you understand our Made To Measure Program, which is available for Men and Women. Our garments are all designed specifically for you. Our Made To Measure Suits gives you a better fitting garment then an off the peg. 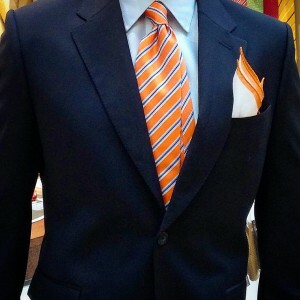 Our garments are created to suit you and you get to choose the Fabric and Style at a cost effective price from $1695. Adriano has his Master Garments (Fitting Garments) from sizes (46 34R) to (64 52R). Adriano starts by taking 3 basic measurements of your Chest, Waist and Seat. We then find the Master Garment best suited for these measurements for you to try on. Adriano will assess your shoulders if they are regular, square, slopped or if you have one lower shoulder. Next Adriano takes a few photos and measurements to assist him when cutting out your Custom Made Suit. Adriano then sews the garment and ensures it’s ready for you to wear. Below are all the custom choices you can make with your suit. Made to measure coats are either single or double breasted. On the back of your suit you can choose between no vent, a centre vent or side vents. Made to measure suit pants have three style options including flat or pleated fronts. There are a range of pock style choices for made to measure suit coats. Made to measure suit trousers have four pocket choices. Lining can come in any colour you choose. Made to measure suits are completed from start to finish and presented to you without the need for a fitting. Our made to measure garments are 100% Made in Melbourne in-house. We can create a garment made to your measurements whether you’re after a Suit, Refer Jacket, Overcoat, Trousers, Shirts, Sports coat, Skirt, Dinner suit, Tailcoat, Morning Coat, or Formal Attire. 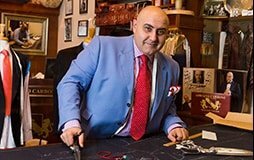 Call Adriano to discuss your made to measure garment handmade in Melbourne.